We aren't making our schools better, we're making them excellent. Over 40% of Jefferson County residents are considered working poor or in poverty. These problems are real. Our community and schools are struggling. Families are leaving. Status quo solutions won't change this. With school funding lower every year, the deck is stacked against the existing model achieving better results. We are taking a different approach to improve the quality of learning. 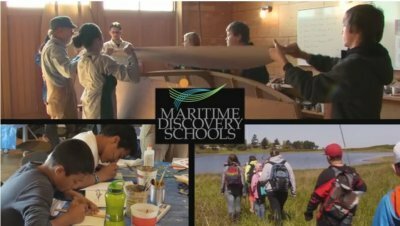 Maritime Discovery Schools are making the school system itself a center of innovation and quality, student performance will improve, and our schools will attract people wanting the best for their children. This shift to learning through a maritime framework is a "place-based" approach to education: learning is more effective when the abstract concepts of academia are tied to the experiences of the student’s community. Powerful learning isn't standardized, it's personal and relevant to the learner. 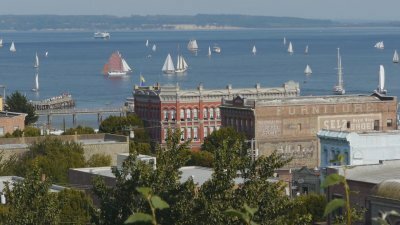 Port Townsend is known throughout the world as a maritime community. We're surrounded by water on three sides; it is what uniquely defines us. Now our maritime character is activating our schools. We are using what’s here to improve our children's education.